Afrotropical, Palaearctic and Nearctic regions. Provision the nest with pollen and nectar or floral oils. Cockerell, T.D.A. 1934. Descriptions and records of bees.—CXLVIII. Annals and Magazine of Natural History, (ser. 10) 13: 444–456. Friese, H. 1909. 8. Hymenoptera. 5. Apidae. In: Sjoestedts, B.Y. (Ed.) Kilimandjaro-Meru Expedition. Stockholm, 8: pp. 119–168. Friese, H. 1915. Zur Bienenfauna von Abessinien. (Hym.). Deutsche Entomologische Zeitschrift, 1915: 265–298. Kuhlmann, M. 2009. Patterns of diversity, endemism and distribution of bees (Insecta: Hymenoptera: Anthophila) in southern Africa. South African Journal of Botany, 75: 726–738. Kuhlmann, M. 2012. 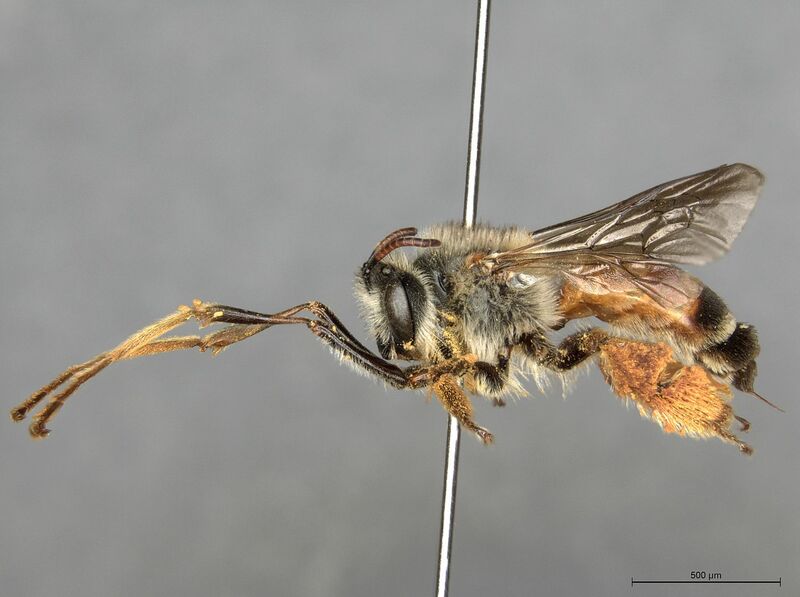 Two new species of the South African endemic bee genus Rediviva Friese (Hymenoptera: Apoidea: Melittidae). Zootaxa 3517: 71–78. Kuhlmann, M. & Eardley, C.D. 2012. Pollen resources of non-Apis bees in southern Africa. In: Patiny, S. (Ed.) Evolution of plant-pollinator relationships. Oxford University Press, Cambridge, pp. 439–456. Manning, J. C. & Brothers, D.J. 1986. Floral relations of for species of Rediviva in Natal (Hymenoptera: Apoidea: Melittidae). Journal of the Entomological Society of Southern Africa, 49: 107–114. Manning, J. & Goldblatt, P. 2002. The pollination of Tritoniopsis parviflora (Iridaceae) by the oil-collecting bee Rediviva gigas (Hymenoptera: Melittidae): the first record of oil-secretion in African Iridaceae. South African Journal of Botany, 87: 171–176. Michener, C.D. 1981. 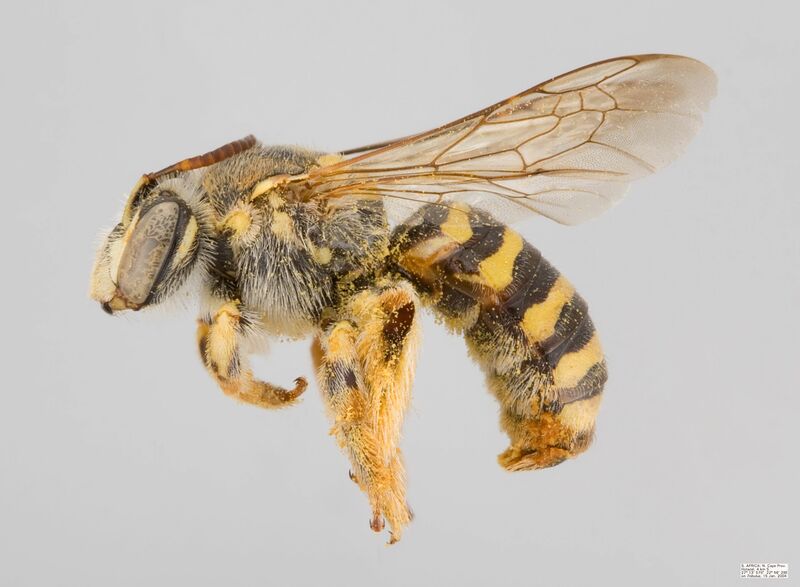 Classification of the bee family Melittidae with a review of species of Meganomiinae. Contributions of the American Entomological Institute, 18: 1–135. Michener, C.D. 2007. The Bees of the World. Johns Hopkins University Press, Baltimore, Maryland, 992 pp. Michez, D., Patiny, S. & Danforth, B.N. 2009. Phylogeny of the bee family Melittidae (Hymenoptera: Anthophila) based on combined molecular and morphological data. Systematic Entomology, 34: 574–597. Pauw, A. 2006. Floral syndromes accurately predict pollination by a specialized oil-collecting bee (Rediviva peringueyi, Melittidae) in a guild of South African orchids (Coryciinae). American Journal of Botany, 93: 917–926. Pauw A, Kahnt B, Kuhlmann M, Michez D, Montgomery GA, Murray E, Danforth BN. 2017. Long-legged bees make adaptive leaps: linking adaptation to coevolution in a plant–pollinator network. Proceedings of the Royal Society B 284: 20171707. Robertson, H.G. & Cochrane, M.A. 2005. Obituary - Vincent Booth Whitehead (2 September 1921–11 April 2005). African Entomology, 13: 386–389. Whitehead, V.B. & Steiner, K.E. 2001. 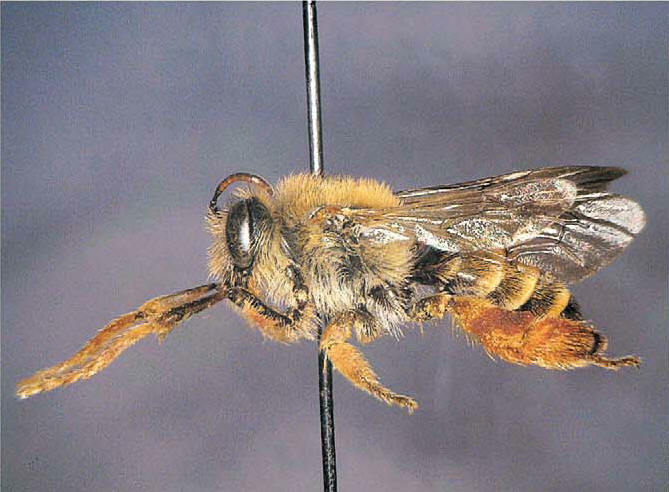 Oil-collecting bees of the winter rainfall area of South Africa (Melittidae, Rediviva). Annals of the South African Museum, 108: 143–277. Whitehead, V.B., Steiner, K.E. & Eardley, C.D. 2008. Oil-collecting bees mostly of the summer rainfall area of southern Africa (Hymenoptera: Melittidae: Rediviva). Journal of the Kansas Entomological Society, 81: 122–141. Photographs © Simon van Noort (Iziko Museums of South Africa) or photographs © Laurence Packer's website: Bee Tribes of the World, or © Michael Kuhlmann (Natural History Museum London).